Red! 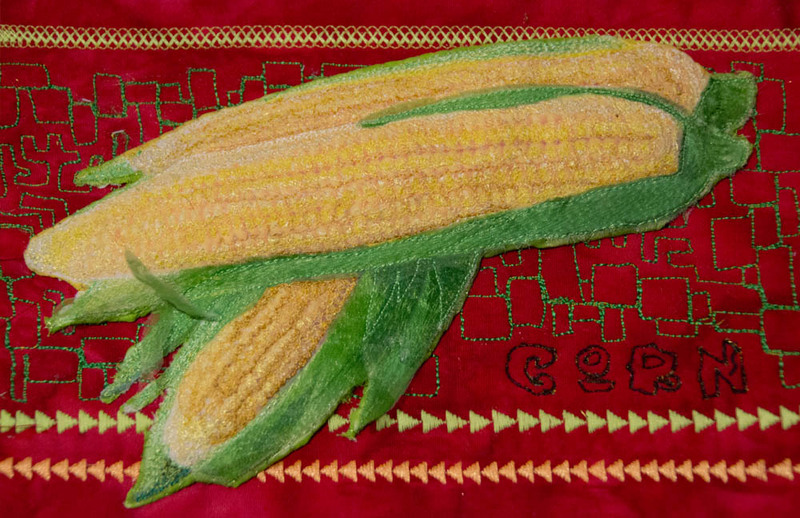 Thanks for all the comments, encouragement and opinions on the background for my corn piece. 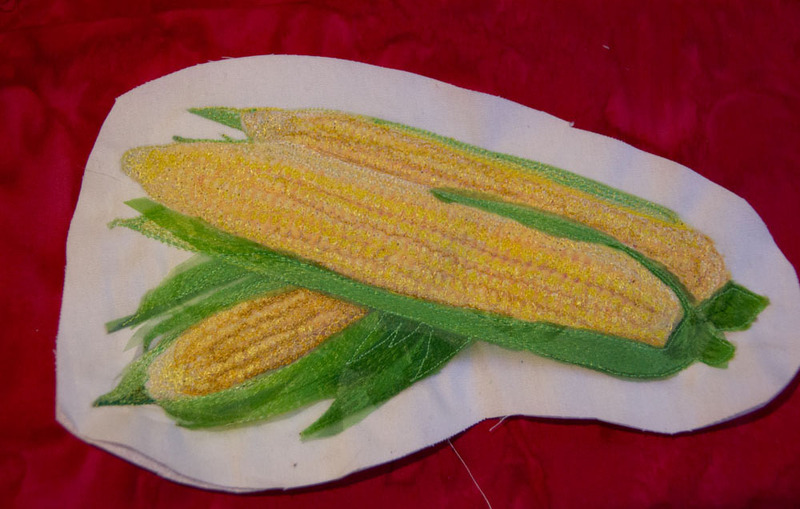 The little ends of the corn husk were challenging to applique down, but you can see a bit of the organza husk standing up in the picture. What you can’t really tell from the photo is how much the trapunto stands out. 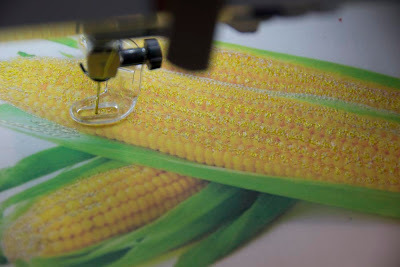 The two longer corn rows have 5 extra layers of batting, making them stand about 3/4″ up from the backing. I cut each of the batting layers a little smaller than the last, so it really has a rounded look. 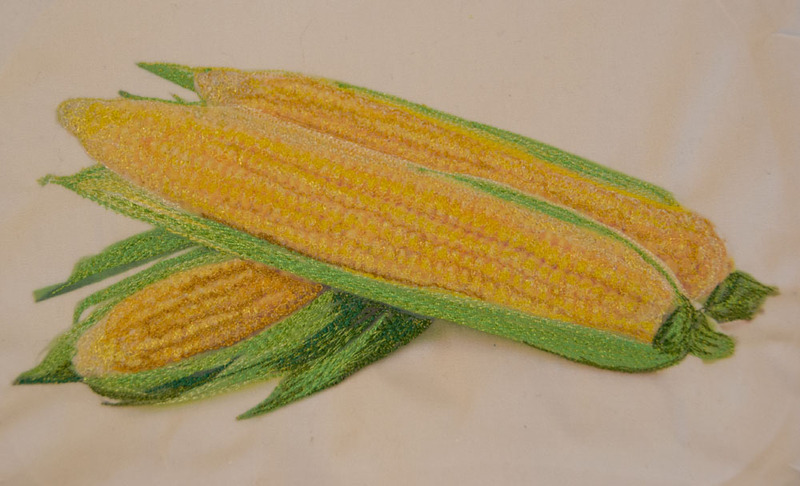 The lower ear of corn has less trapunto (3 layers), since it is behind the others. 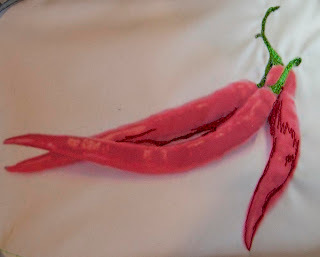 I’m now working on my last piece, chili peppers. I started with the green stems, then went on to the darker shadowed portions of the chili. 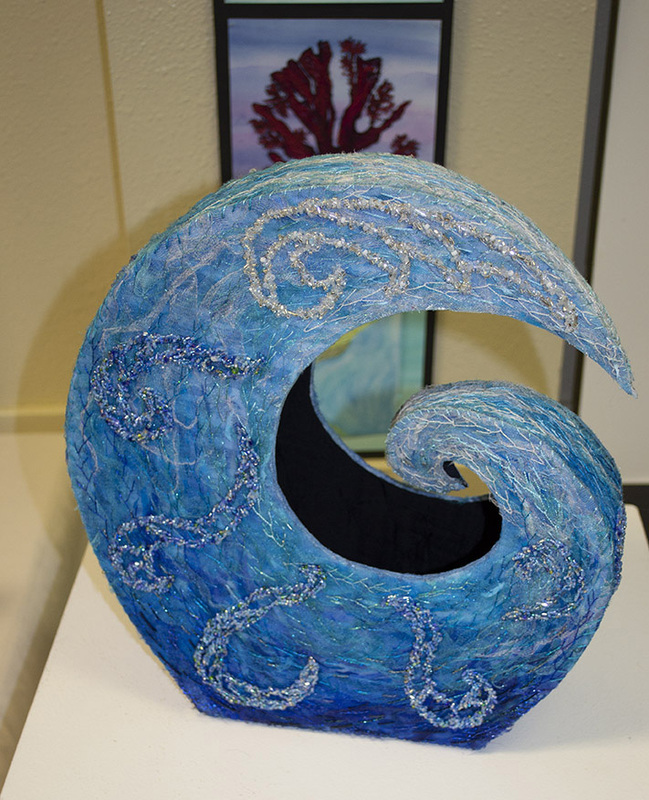 The difficult part of these is that they are so thin, it will be difficult to convey a 3-D effect or to trapunto them. So I tried to sew both in the long/horizontal direction and also around the width of each chili, to convey the roundness of each. 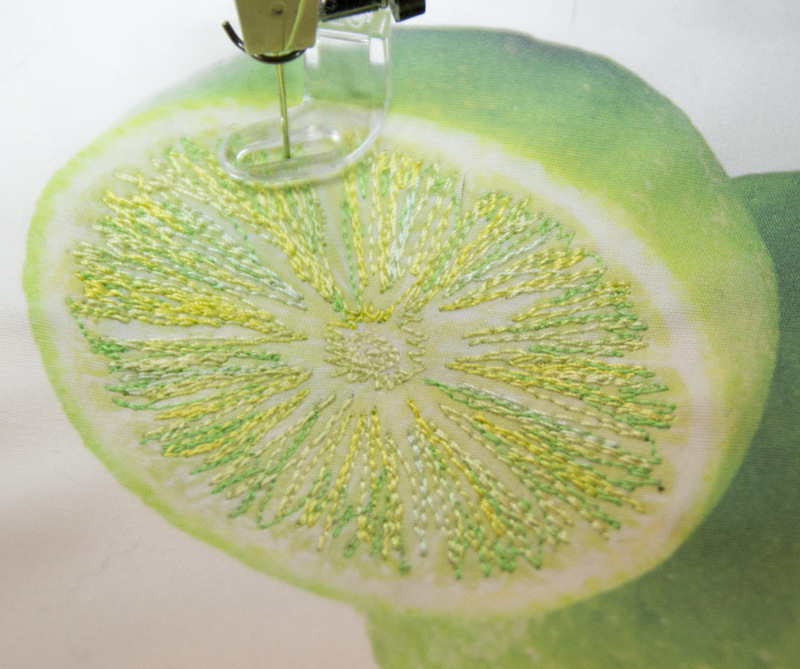 One of the main things when doing thread painting is to keep on layering your colors to add more dimension and gradation. If you just fill in one color butted up to the next, it will look flat and like a paint-by-number painting. Blending the colors is very important. Also, look for the unexpected colors. 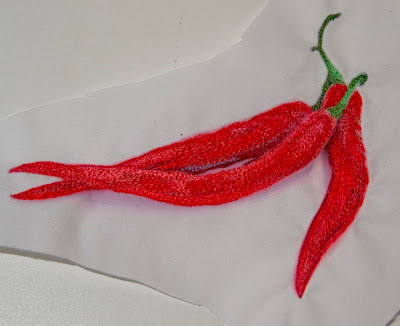 In this chili, I found a small place where the shadow had just a touch of lavender… it adds a lot to the finished piece to have those little bits that your eye might not originally catch. Now I just need to do the background and then I’ll be on to putting all 9 of my Salsa blocks together! Corn– Red or Orange- You Vote! Well, I’m down to needed to pick out the background and do the freemotion quilting on my latest Salsa block- Corn. I’m not sure about the background color, however. Do you prefer the red or the orange? This may have been the most difficult of my salsa pieces to date. Trying to get individual kernels of corn was tricky. I also wanted to have the husk seem more realistic, which I may work on a bit more. 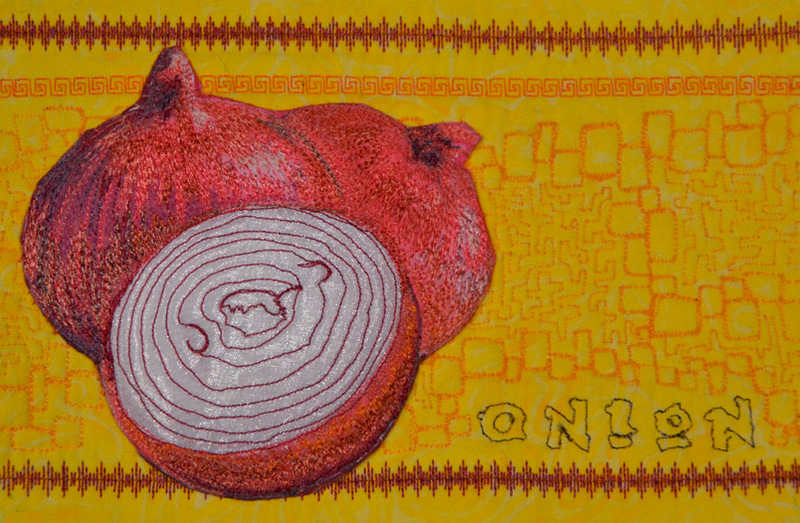 I started thinking about the husk and how to make it seem like it could be peeled away. 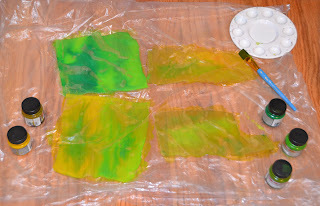 I decided to use a painted nylon organza, which you could get layers of sheer that would build color. 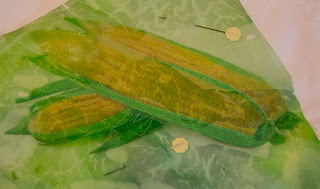 I used Jacquard Dye-na-Flow to paint it, mixing a variety of greens and yellows. 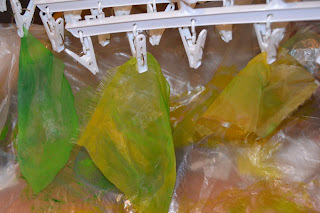 When you paint the nylon organza, do it on a thin plastic sheet and wait until it is just starting to dry (it will be semi-sticky to the plastic.) Then, peel it up and hang it to dry with clothes-pins or paperclips to a line. 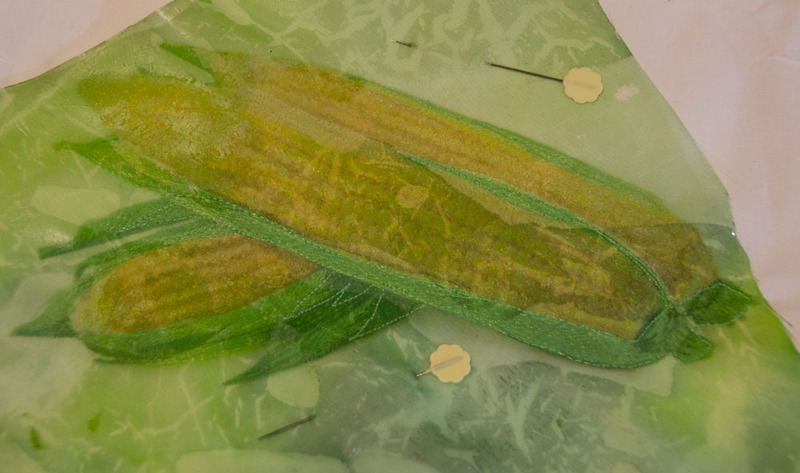 If you leave it on the plastic, much of the paint will stay on the plastic and the surface of the organza gets a shiny odd texture to it. 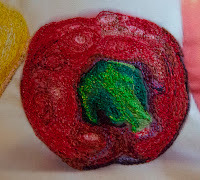 After painting my organza, it was time to get going with the thread painting. 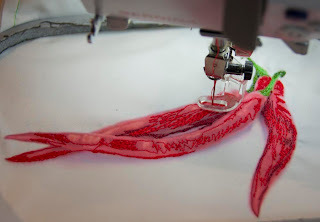 Starting with a photo I’d printed on fabric, I began with the very lightest color first. 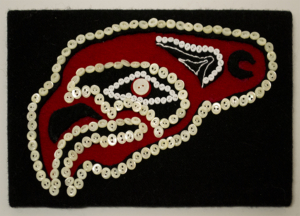 Much of these pieces were sewn in little circles, to imitate the shape of the corn kernels. At some places it was more appropriate to make little scallops, to add highlighting or shadowing to the kernels. I then layered on color after color of a range from pale beige through sunshine yellow to a dark mustard. In between the rows, oranges predominated to add shadowing… even a touch of a pinkish-orange. 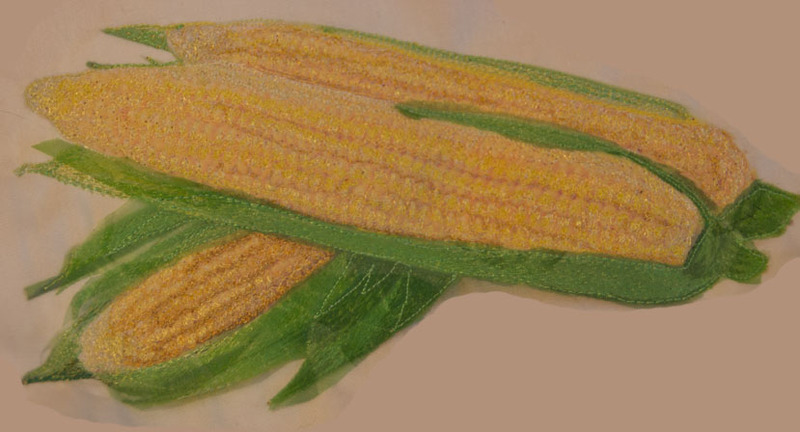 At the end, I added more of the sunshine and lighter colors again, to build up layers and make the kernels a little more dimensional, with the highlights sticking out. 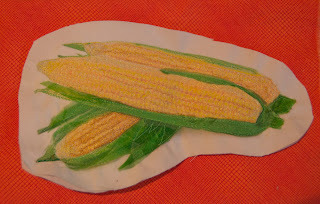 After the corn itself was complete, I thread-painted the husk. I’m not completely sure about my process here or whether I need to do more (or even take away some of what I did. 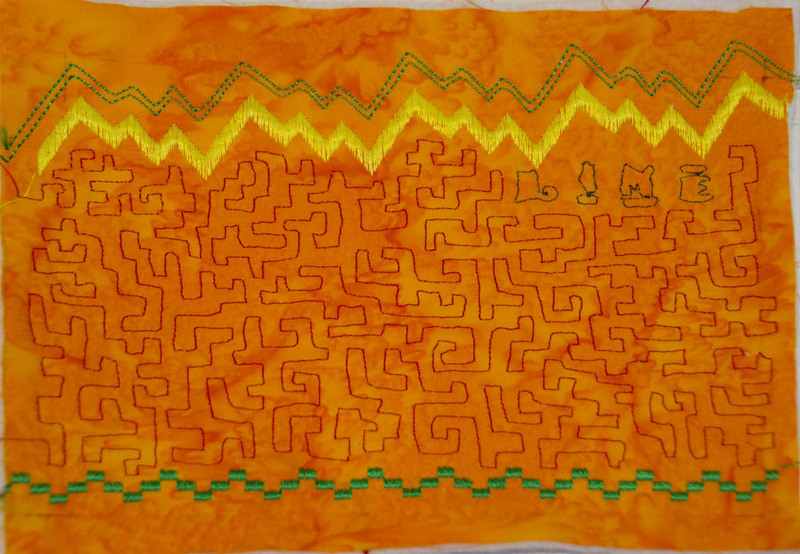 After the thread painting, I laid some of the organza which I had painted on top and stitched it down. I didn’t stitch it entirely over the husk areas, as I wanted some of the pieces to be able to fold back and move in a breeze, like a real husk would do. After sewing it down, I cut around the edge of my sewing. So, what do you think? Red or Orange for the background? A Slice of Lime Peppers and Avocado Cilantro – Si! Make sure to check out these other great blogs! 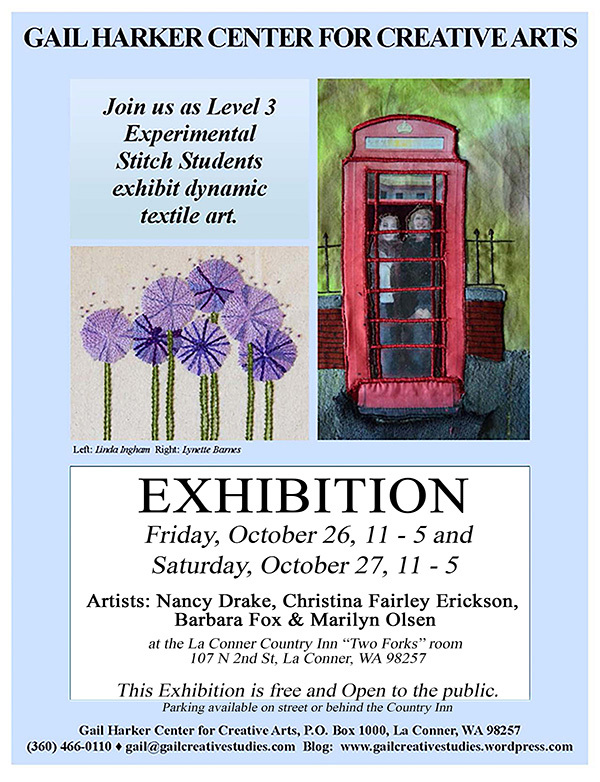 https://fiberartistjourney.com/wp-content/uploads/2017/12/Christina-Fairley-Erickson-575x156-300x81.png 0 0 Fiber Artist Journey https://fiberartistjourney.com/wp-content/uploads/2017/12/Christina-Fairley-Erickson-575x156-300x81.png Fiber Artist Journey2013-03-15 23:36:002013-03-15 23:36:00Corn-- Red or Orange- You Vote! Do you get more and more productive the closer you get to a deadline? This is a pet peeve of mine (not to mention my husband’s!) Why is it that we have to get right up to a deadline before we get motivated? I really thought that with my finishing each of the 5 x 7 pieces each week, I’d be looking great for the Salsa show’s deadline of April 6. 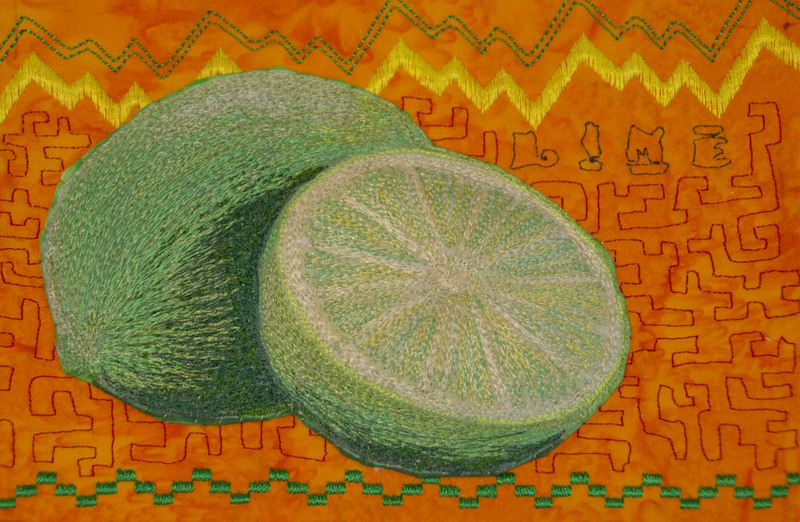 Perhaps I am doing fine… it’s a bit hard for me to know, since I’ve never made a quilt-as-you-go quilt. I suppose I’m worried that putting it all together will prove a bit harder than I’ve imagined. Two more 5 x 7 blocks to go. Any thoughts on what I should do for sashing and putting them all together? 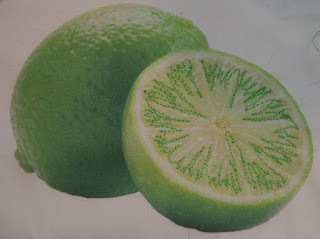 The lime seemed like it might be a bit tricky- there was a lot of reflective light in the photo and the juiciness of the cut lime. I decided to start with the darker parts of the sliced half, and then added progressively lighter colors. 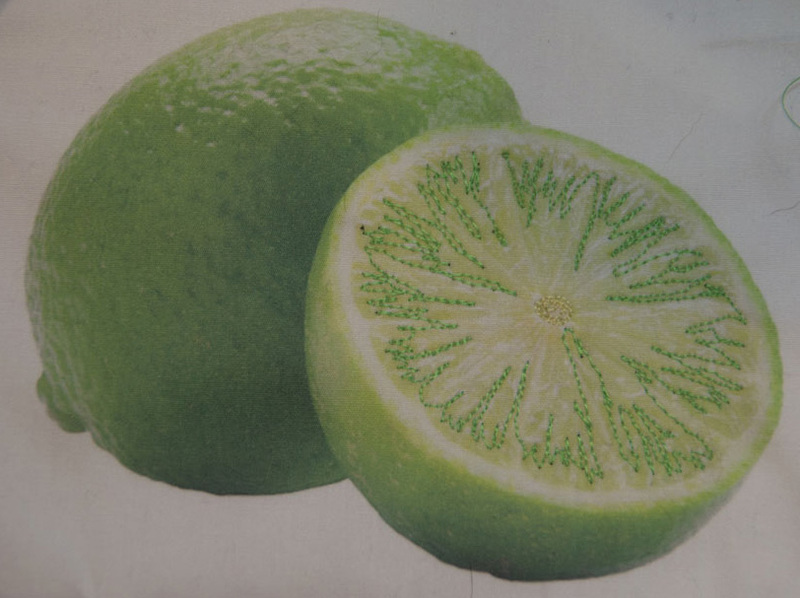 For the whole lime, I began with the outer edges (the parts furthest away) and worked my way towards the center. 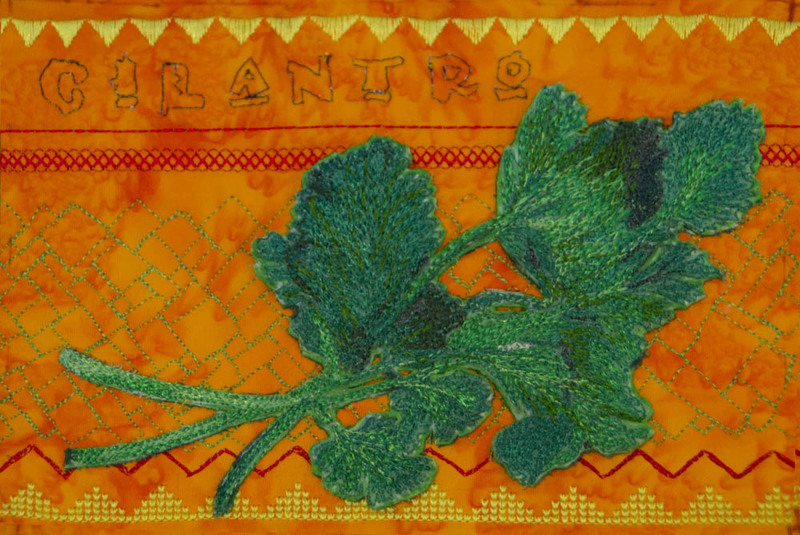 When I finished the machine embroidery, I completed the background with more decorative stitching and freemotion quilting. 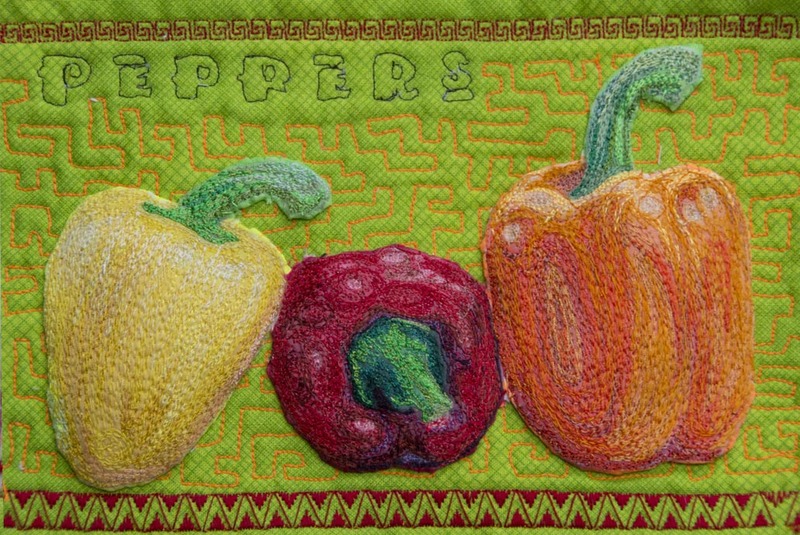 I used the same sort of squared stippling that I’d used with the Peppers, which I’d learned on Leah Day’s FreeMotion Quilting Project. 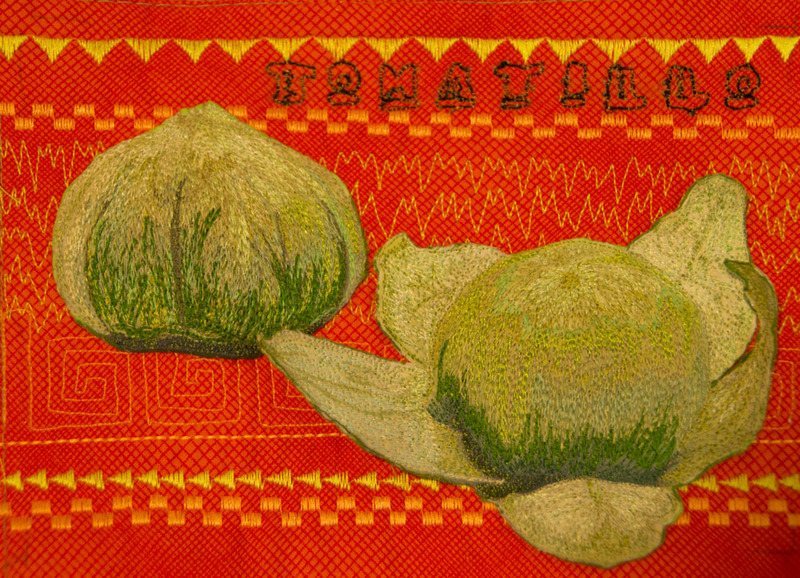 Only 3 more 5 x 7 pieces to go for my Salsa series! They’re looking good all together. I was a little worried that this red background might be too dominant with the rest of them, but it turned out fine. 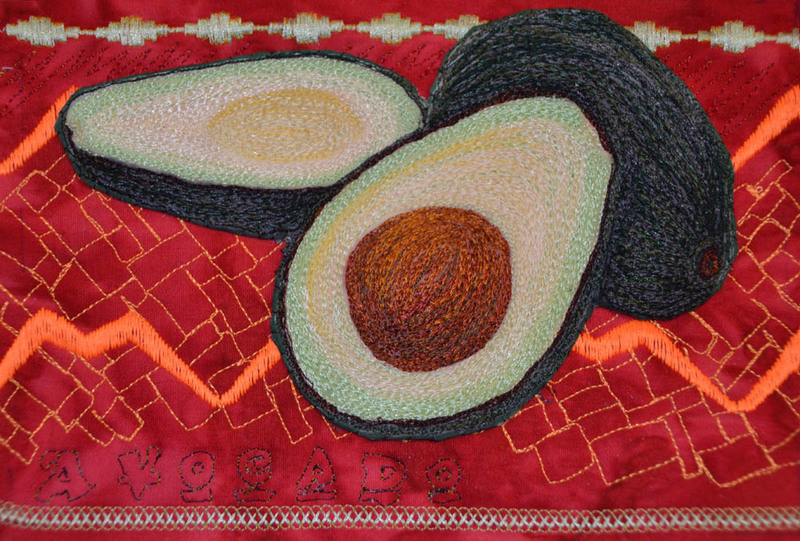 I wanted the complementary color to the green of the avocado, and the dark skin of the fruit allowed me to use something quite bold… there’s no way that the pieces will fade into the background. I’m still trying to figure out how I’m going to tie all the pieces together- I’m leaning towards black sashing that is freemotion quilted throughout. 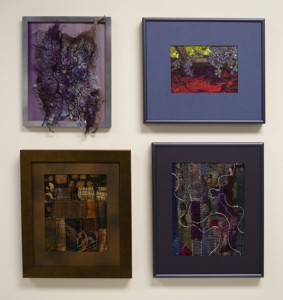 I’d love to hear any thoughts or suggestions you might have about putting these pieces together into a quilt. Yesterday I was reading one of my old favorite inspirational books, Simple Abundance: A Daybook of Comfort and Joy by Sarah Ban Breathnach. Each day of the year has a separate little essay that looks for finding joy in your everyday life. I’ve had this book and referred to it for probably about 15 years (it was published in 1995.) 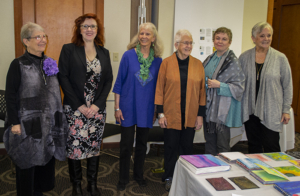 It’s a lot like a wonderfully inspirational blog! Anyway, the entry for March 4 is called “Priming the Pump for Inspiration” and uses the analogy of how you used to have to pour water into a pump to get it started. 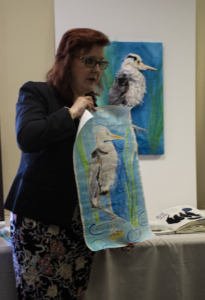 Likewise, as artists, we need to feed ourselves images and experiences to keep the flow of creativity. Similarly, Twyla Tharp, the famous dancer and choreographer, talks about setting rituals to get your creativity flowing. If you set up a structure of doing the same thing each time you sit down in your studio (or on the way to your studio)… something that is inspirational, or centering, or creates peace for yourself… you will start to get greater access to your creative side. I can’t say that I’ve got this process of ritual down at all. I do lots of things to “prime my pump”, whether it be taking photos, cutting out images from magazines and putting them in sketchbooks, or reading books and blogs which I find inspirational. 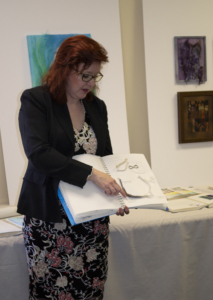 But, typically I feel a little pressed for time and that I need to produce when I’m in my studio. I’m rethinking this. Perhaps I would be better served creatively to take the extra time, slow down a little bit, and follow a set ritual each day to start opening up my right-brain creative side. 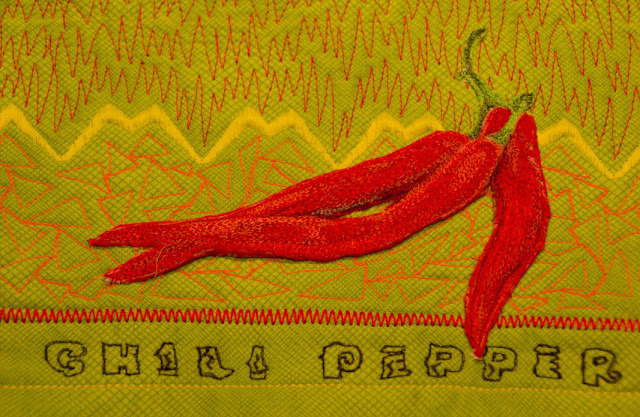 Creative Habit Peppers and Avocado Cilantro – Si! 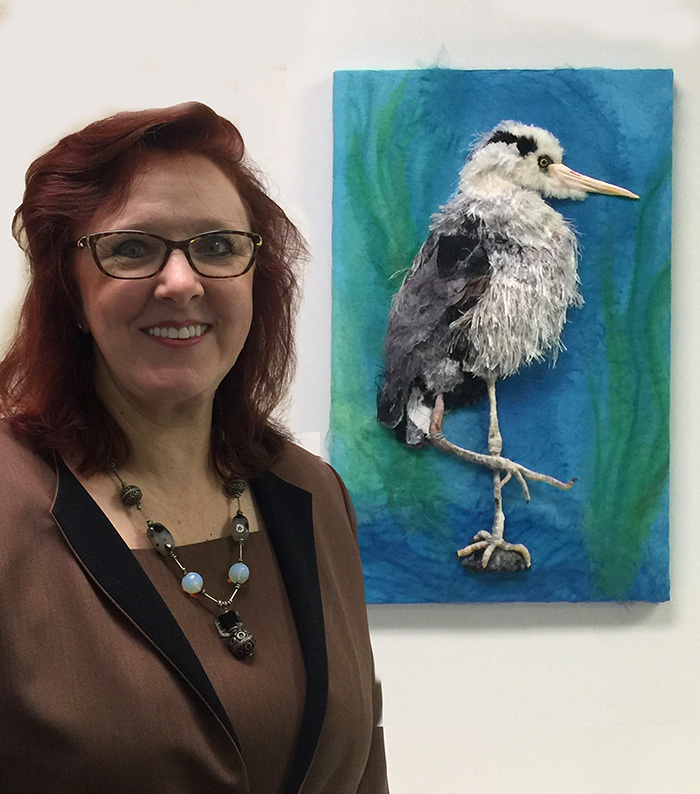 https://fiberartistjourney.com/wp-content/uploads/2017/12/Christina-Fairley-Erickson-575x156-300x81.png 0 0 Fiber Artist Journey https://fiberartistjourney.com/wp-content/uploads/2017/12/Christina-Fairley-Erickson-575x156-300x81.png Fiber Artist Journey2013-03-06 01:24:002013-03-06 01:24:00Guacamole, Anyone? I finished My “Peppers” last night! Hooray! I’m quite happy with how they turned out… I struggled with making the red center one laying down so you are looking down on it. 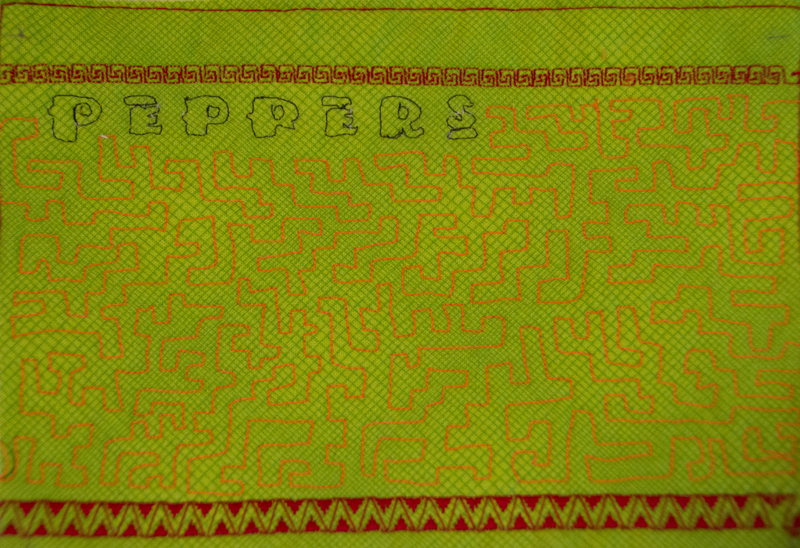 I think the key was both the shading and sewing directional-ly. By this I mean that I’m trying to capture the shape of the object, by sewing in the direction that the object naturally goes. 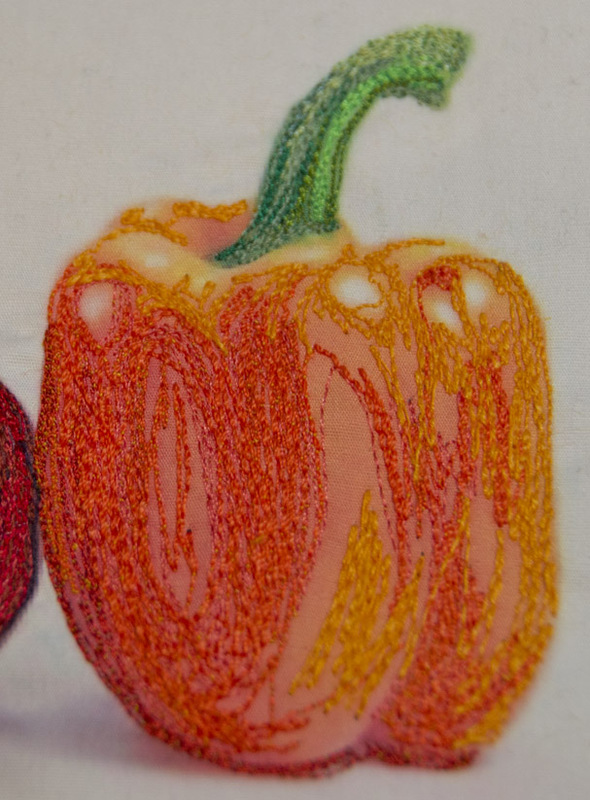 For instance, where there was a buldge in the pepper, I sewed around any bulbous protusion, which, combined with shading, helps give the illusion of depth. 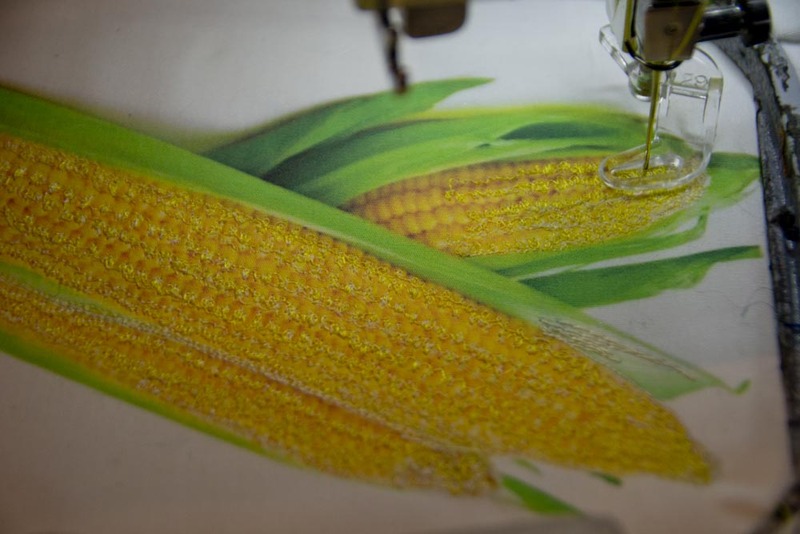 Another way of looking at directional sewing is to think of the way something grows or sewing with the grain of an item. For instance, if you want to portray an animal, it won’t look very realistic if you make the hair going in an unnatural manner. Similarly, petals, leaves, and plant stems look closer to life with a vertical grain and more cartoonish with horizontal filling. I also made a decision with the background of this piece. 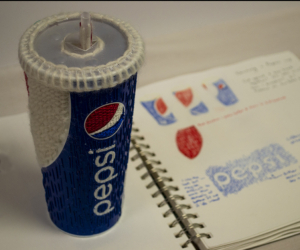 If you’re familiar with design theory, you’ll recognize “repetition” and “unity” as two fundamental design concepts. 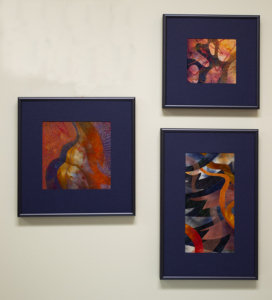 Many strong designs utilize repetition- whether they are visual art, writing or in a musical composition. Repetition aows the viewer to feel more comfortable with the piece-as if the already know something about it, since they’ve seen (or heard) that part of the piece before. 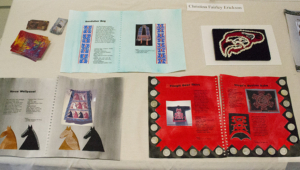 Repetition can also help unify a piece. Having too many loose ends that don’t relate anywhere else in the work can be jarring and disquieting. 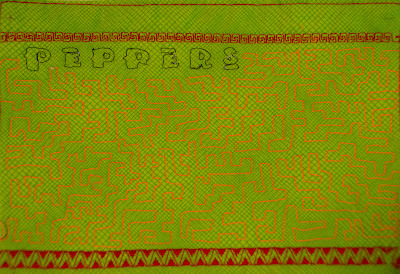 So, for my “Peppers” I used a background fabric which matches the background of my Tomatillo, but in a different color way. 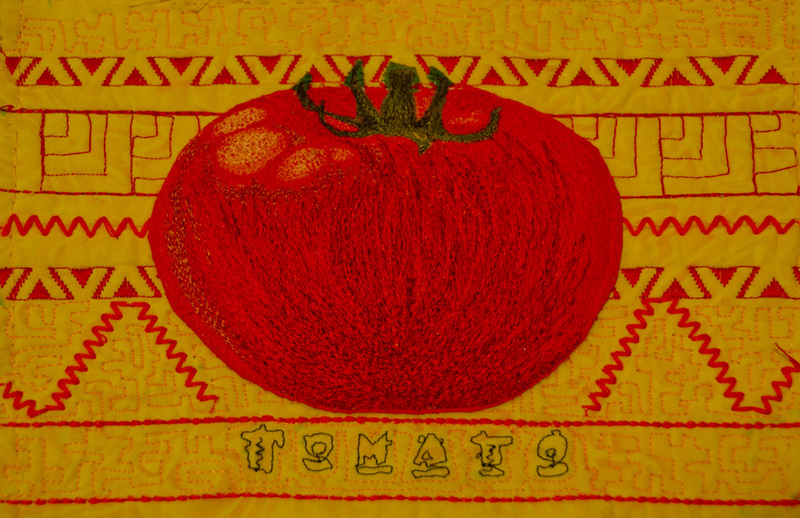 I used the same pattern for the Freemotion quilting as I did on my Tomato. 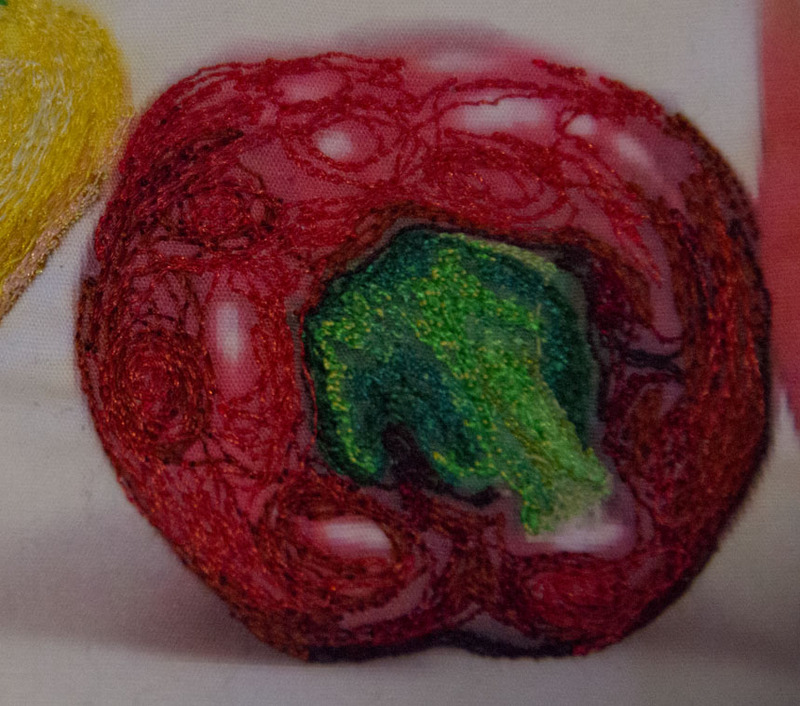 One of the lines of decorative stitch matches another in one of my pieces. Why is this important? While each piece may be lovely and stand on its own, my plan is to put nine of these “Salsa” pieces together into a quilt. 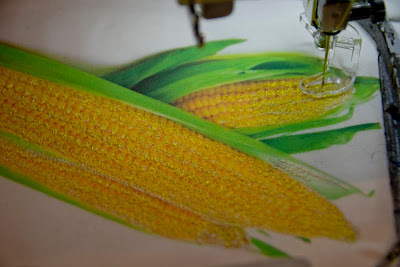 Although I’m doing similar techniques- Machine embroidered veges with decorative stitching and Freemotion quilting, if I’m not careful it will seem like it isn’t unified. 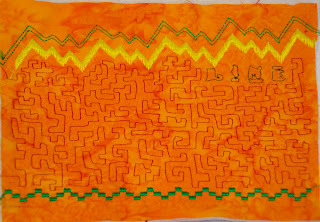 Other ways I’m working to unify the peace and provide repetition include using the same font for the name of each of the vegetables or fruits, using an analagous color scheme (red, orange, yellow, green), and having my quilting and decorative stitching be more sharp angles rather than curves (I think of this being more like Mayan or Aztec patterning. Isolation. It can be really nice to have time to yourself… time to do your projects, eat on your own schedule, stay up as late as you want. But this weekend was more than time to myself. Sometime on Friday, a critical piece of equipment broke down cutting off all Internet, email, WiFi and our home and business phones. Although I still have my cell phone and texting, it’s amazing to find out how connected we are through these other forms of communication. With my husband and sons away for the weekend, it was more like solitary confinement than a peaceful weekend to myself! Luckily, our computer expert was able to find the piece of equipment and get it installed this afternoon, so we’re back live! 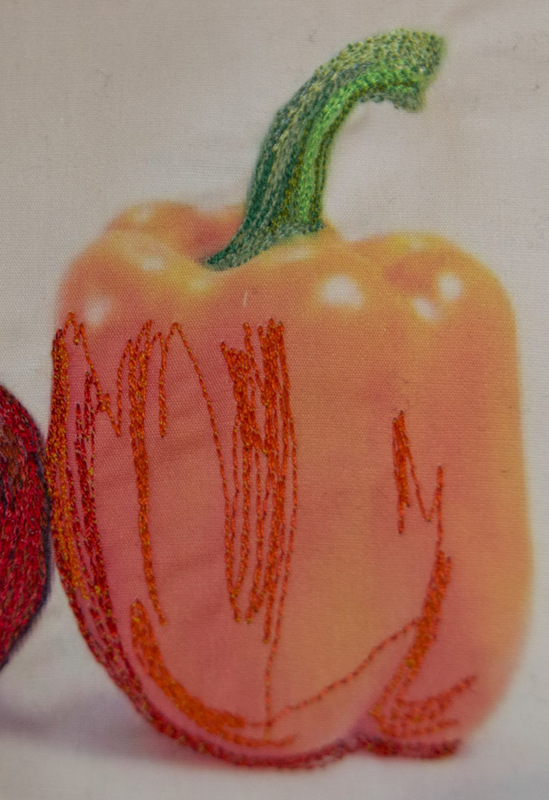 This red pepper proved to be particularly challenging, since the perspective. I started with making the stem, and then doing the darker parts as underlayment. I made circular shapes, to try to get the sense of the knobby bumps on the top of the pepper. I think it came out pretty well and like the effect of adding a little violet for the shadows. With the orange pepper, I again started with the stem and the darker shading. As you can see, most of the stitching goes in the direction of the shape of the vegetable. With the underlayment, I will go across the grain, but most of this stitching will be beneath other layers of color, so it won’t show the cross-grain stitches. I then start building layers of color up. I generally go from dark to light, as the dark is in the shadows, so further away from the viewer and light is closer. 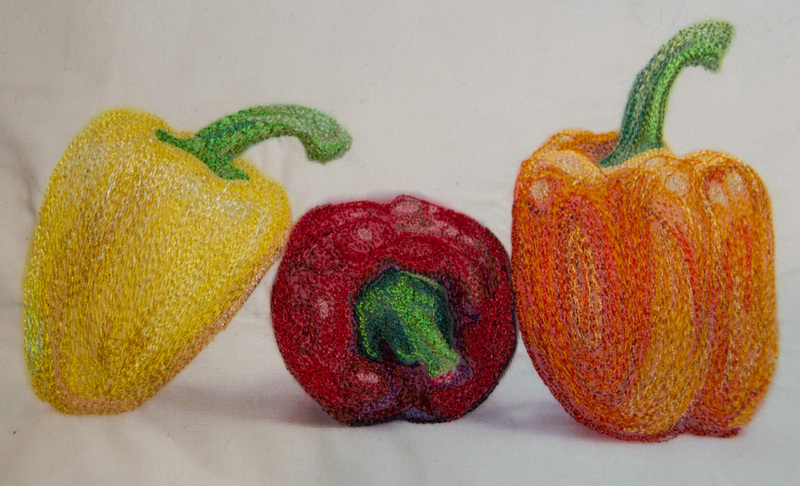 Here are the three finished peppers. 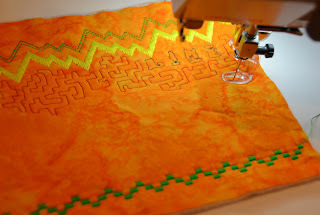 I need to start working on doing the freemotion quilting and decorative stitching on the background today. 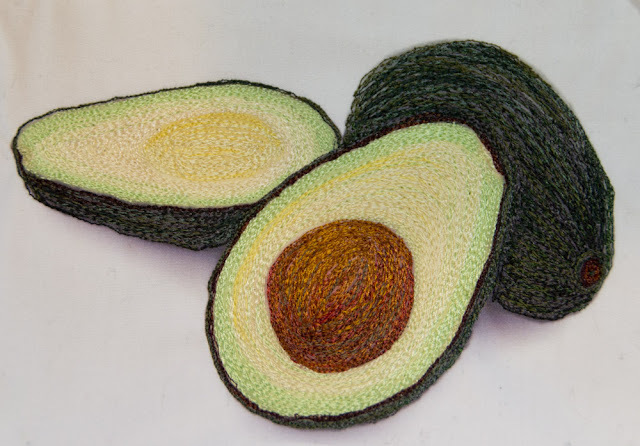 Next, I started on avocados. 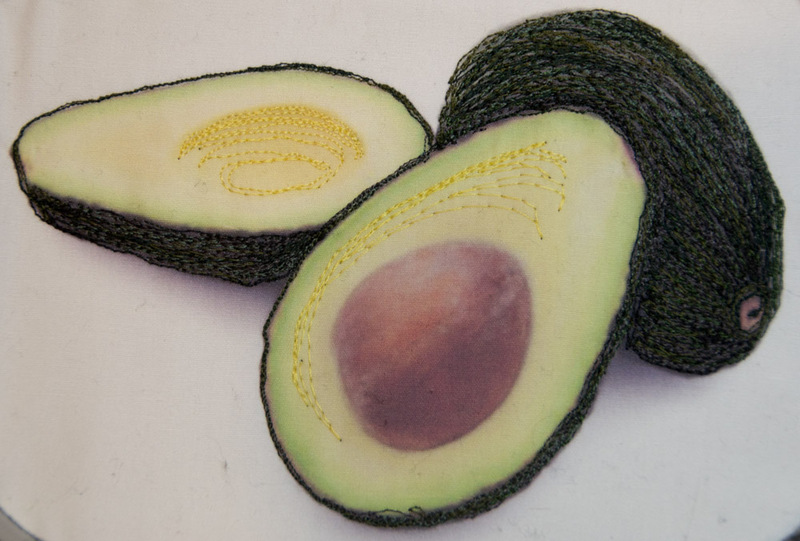 Same, process, although it is challenging to think through how to be able to show the indentation of the place where the avocado seed was versus the other half with the seed jutting out. The rough texture of the outer skin was a little worrisome as well. I added the darkest yellow to the texture of the fruit, making it heaviest in the area that the pit was removed. Then I layered about 10 different shades of light yellow and light green to make the fruit. 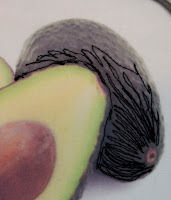 The final part of the process was to do the avocado pit or seed and the little area where the stem comes out. Because of how I layered the thread, both the pit areas are slightly stretched out, which will give a nice 3-D effect when I add trapunto. 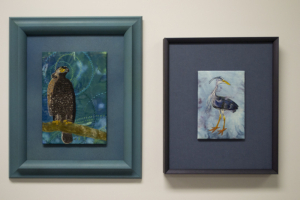 I’ll be looking over Leah Day’s FreeMotion Quilting Project to find some interesting designs for the backgrounds of these two 5 x 7 Challenge pieces!